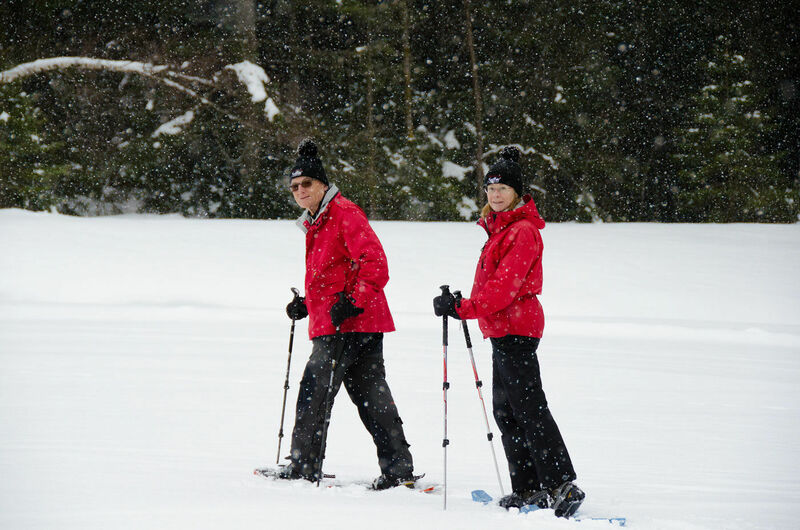 Hiking made easy – walk on snowshoes across the winter landscape and enjoy its stillness. We offer two snowshoe routes: a slightly longer one for the more experienced snowshoers, and an easier one for beginners. You can do the route in the opposite direction as well. There is an hourly bus service from Biberegg back to the Sattel valley station. 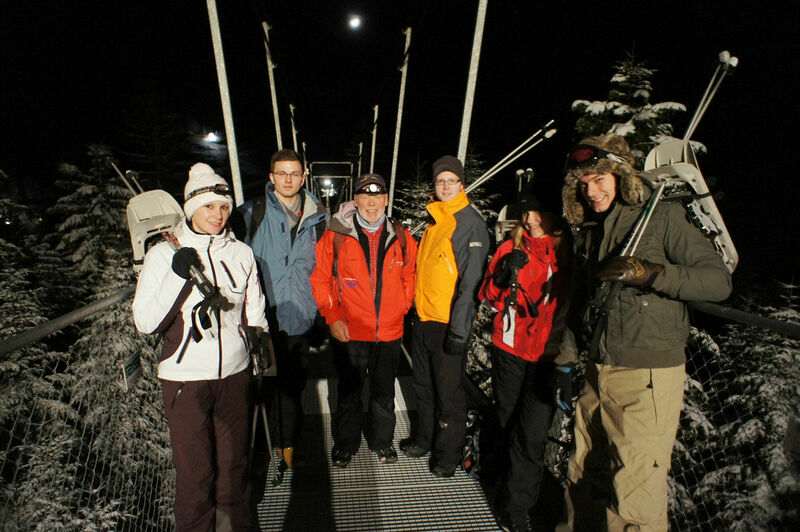 We offer individually guided snowshoe tours for groups of 12 or more people. You will meet your experienced guide at the mountain station of the revolving gondola. After an exhilarating tour across the pristine winter wonder world with its fabulous views, one of our welcoming mountain restaurants will serve you spicy mulled wine and a hearty cheese fondue. *We gladly suggest alternative menu options. 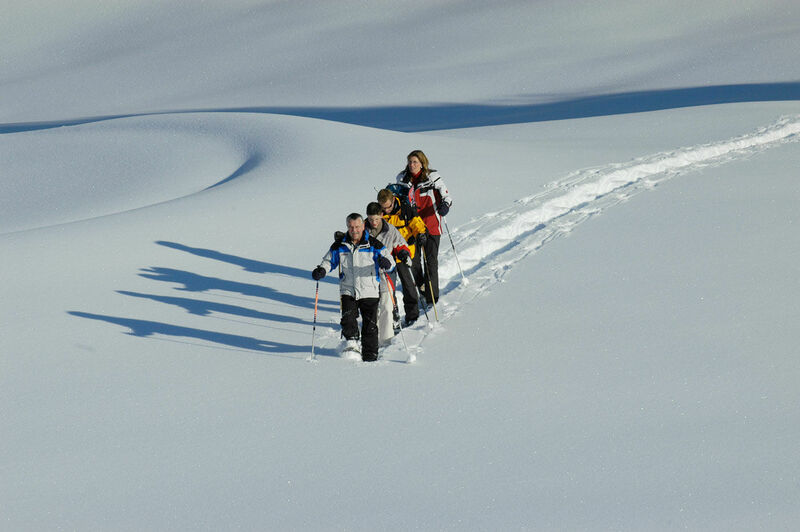 On several dates we offer snowshoe tours led by an experienced guide. The tours may vary depending on the snow conditions. You may well discover some spots that you would not ordinarily come across. Tour ends at the Mostelberg mountain station. Afterwards individual dining or descent with the revolving gondola.